Disclaimer: I ate here for free. See end of post for full disclosure. Once you get clued into seasonality, there's something deeply disconcerting about cafe menus spruiking heirloom tomato bruschetta at this time of year. Why stubbornly hang on to basil, avocado and all the other delights of summer when you can celebrate lovely roast pumpkin and wilted, garlicky kale? What we're often unaware of is that like fruit and veg, nuts and grains also have seasons, and right now is buckwheat harvest time. In Japan, soba noodles made from the season's first buckwheat are called shin soba and are highly prized for their particularly sweet flavour and delicate fragrance. 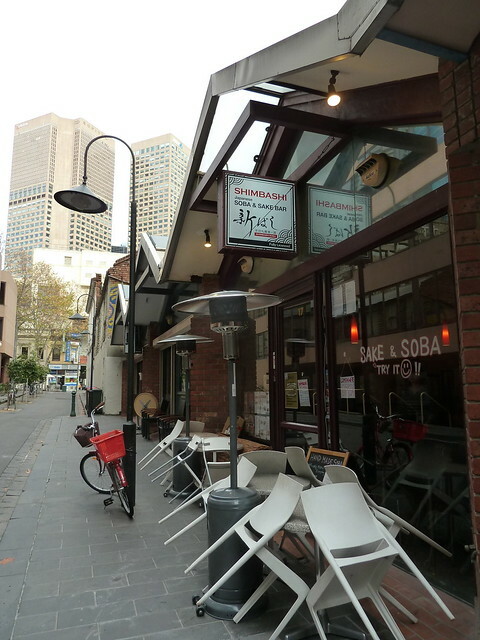 I've previously written about Shimbashi, Melbourne's only dedicated soba bar where Chef Taka Kumayama grinds buckwheat into flour and makes soba noodles with it daily on the premises. Taka invited me back to try out shin soba, only available once per year. 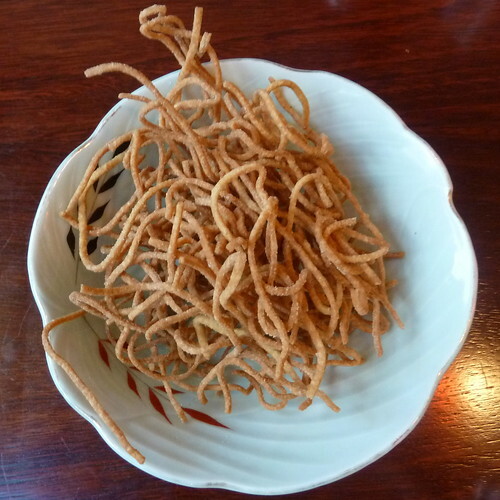 Deep-fried soba to start. Perfectly crisp and seasoned. Shimbashi now have a dedicated sake sommelier! 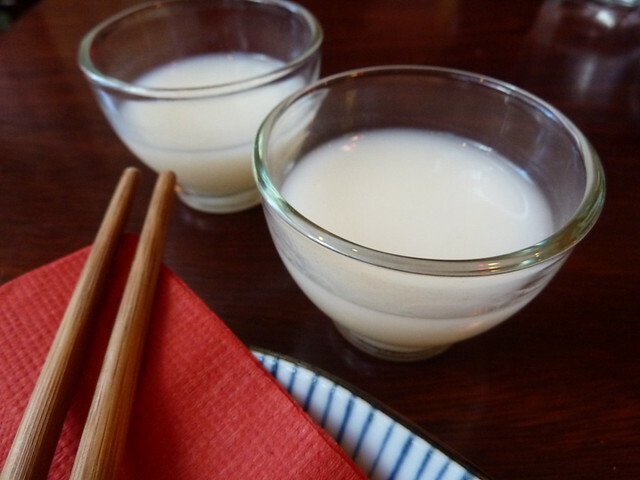 I love this nigori-sake, unfiltered sake served cool, with a texture almost like drinking yoghurt. We also had amazing, lolly-water yuzu sake and plum wine. 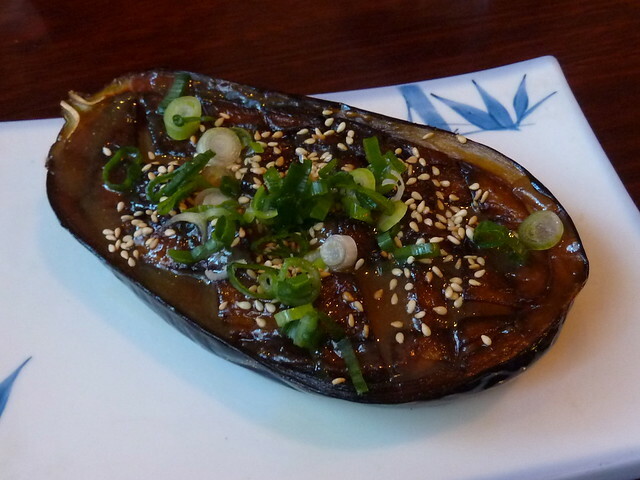 One of my all-time favourite foods - nasu dengaku, or eggplant with sweet miso sauce. This was a sublime specimen - the eggplant flesh scored into diamonds, cooked till velvety-soft, with luscious, almost caramelly miso. WOW. 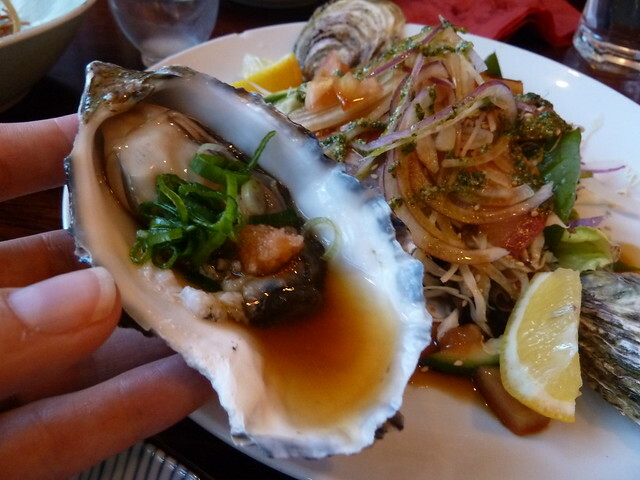 Gorgeous oysters with ponzu sauce and fat petals of sashimi, all tangled up with fresh salad. 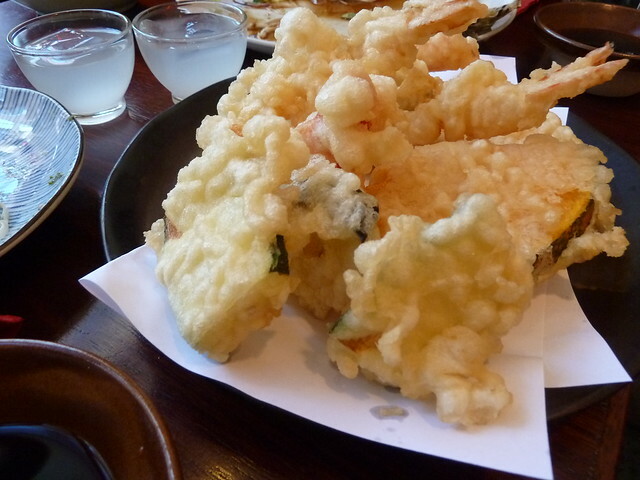 Tempura love! Delicate wedges of pumpkin, zucchini and eggplant in light, blistered batter. Only the Japanese can make deep-fried food seem healthy. The main event. I love how it looks like a prayer offering. 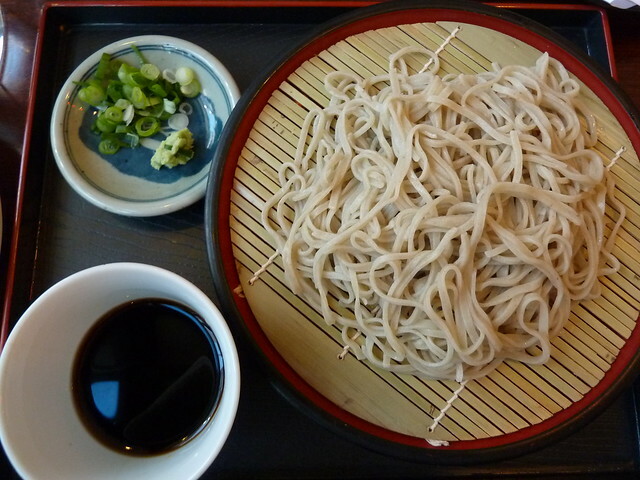 To eat, sprinkle the dipping sauce with spring onion and gently dunk strands of soba in. Just so lovely. I don't eat soba enough to be able to wax lyrical about new-season shin soba, but I can tell you that these are some mighty fine noodles. You can taste the chef's passion in every bite. Afterwards, the staff will come and top up your sauce pot with soba cooking water to make a warm "soup" that tastes so delicious and nourishing. 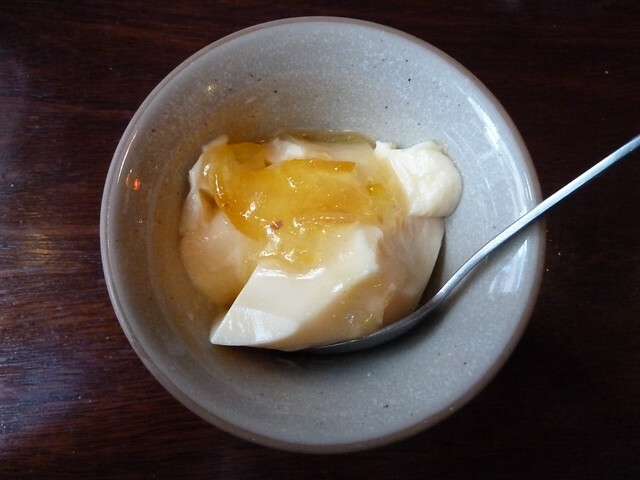 Sake pudding. Wow wow. The pudding itself is utterly luscious, like creme caramel. Loved the tangy, marmalade-like lemon sauce on top. Shimbashi has been open for about eight months now, and I think it's really come into its own. The public hold Japanese restaurants to standards of authenticity far above any other cuisine in Melbourne, and Shimbashi definitely hits those heights. 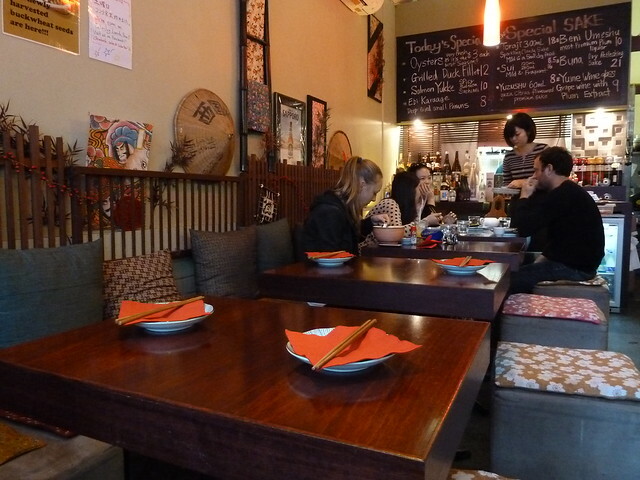 It's a very Japanese restaurant, right down to the quirky, homely decor and the Japanese version of Smooth FM they play. A refreshingly non-sceney spot. 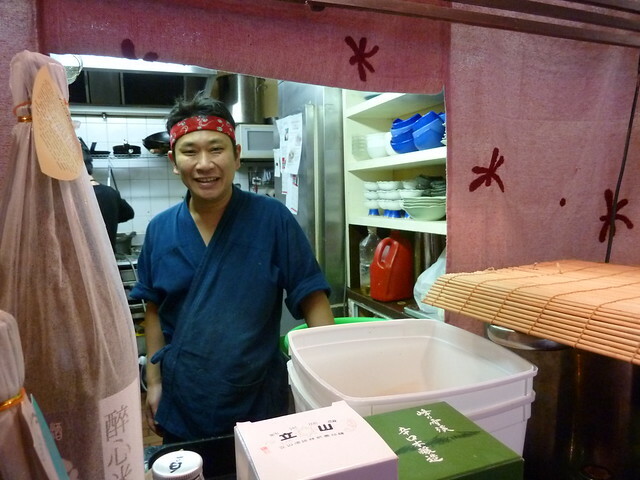 If you want to catch the season's first shin soba, head to Shimbashi in the next week or so. 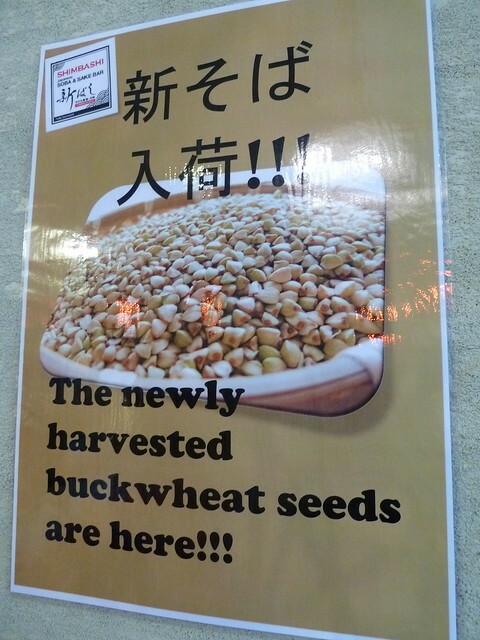 Of course you can still enjoy hand-made soba here year-round, as buckwheat keeps well - unlike heirloom tomatoes. Disclaimer: Shimbashi invited me and a friend to try shin soba on the house. This was NOT conditional on subsequently writing a post, but I so enjoyed this meal I wanted to share it. Shimbashi have not requested nor been given any editorial control over this post. 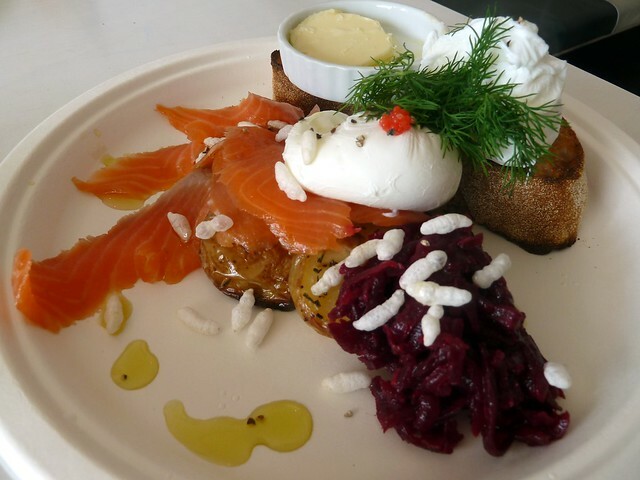 A couple of new cafes for your westside brunching pleasure. Introducing Form - a gorgeous space that opened in west Essendon last December, barely a stone's throw from the Brunswick border. 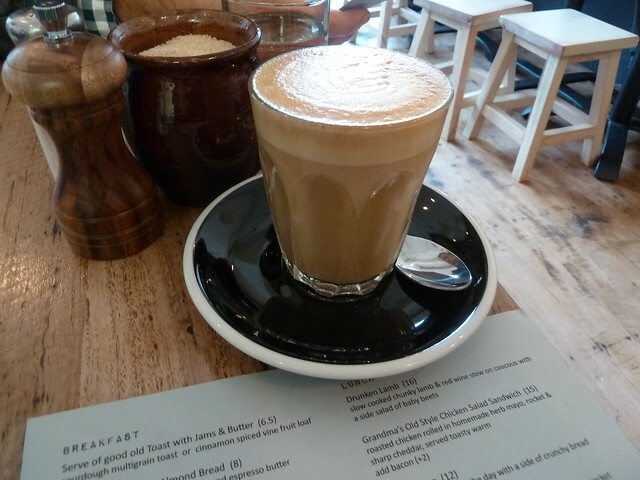 Coffee is by Campos and it is excellent. 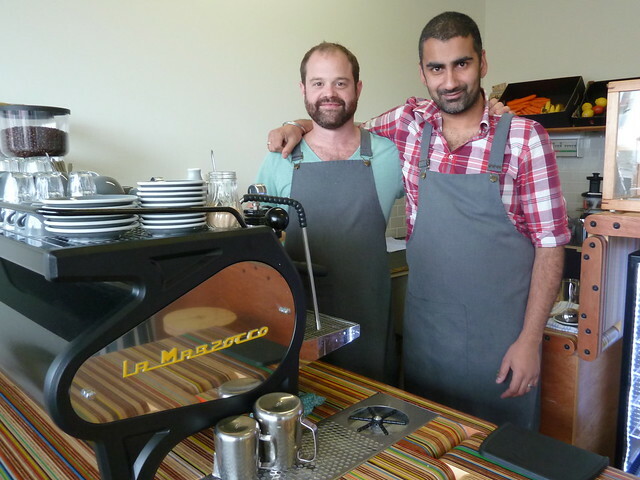 The guys behind Form have a connection to Ray's in Brunswick, which by my memory at least was one of Melbourne's first "very Melbourne" cafes (no obvious name, kinda hidden, great coffee, all that good stuff). The food is also standout. The menu has a gentle Scottish lilt, what with "tatties" and a cheese n' onion square. Somewhat controversially, it's served on paper plates. Apparently an environmental costing was done and it was more energy efficient/sustainable etc to buy and recycle these than wash plates. All plates and food scraps go to the local school or community centre for their garden. I'm not sure what I think of this - I'm sure it does save water in the long run as they claim but it still feels counter-intuitive to this hippy chick. 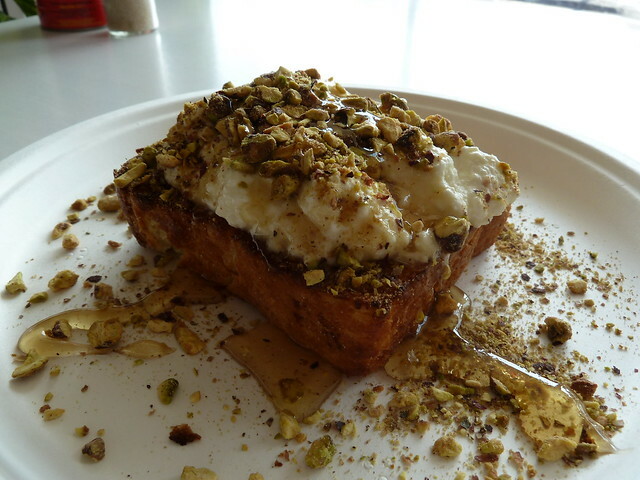 Anyway, there wouldn't have been much of this gorgeous, not-too-sweet brioche with ricotta, honey and pistachios to wash up after I was done with it. 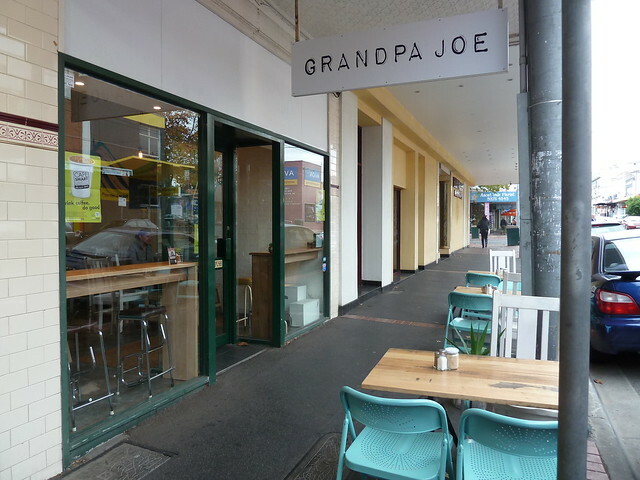 Not far away in Ascot Vale, Grandpa Joe has just opened and it seems this senior cit is a pretty cool customer. There's a good range of coffee choices, with a choice of Five Senses or a single origin coming through a shiny silver Synesso, plus aeropress or cold drip filter brews. 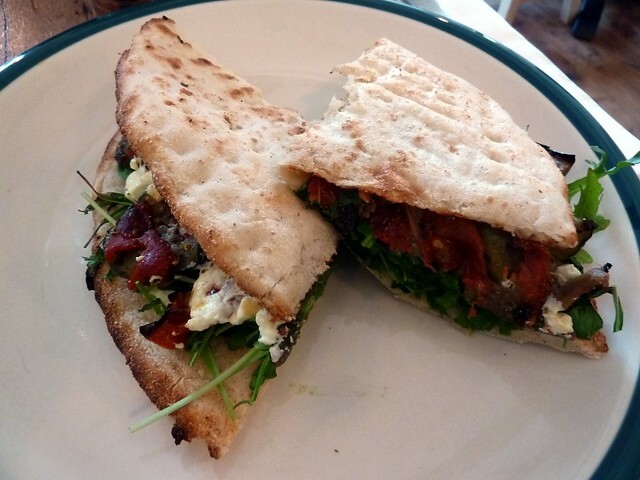 I enjoyed this vegetable piadina, stuffed with goats cheese, rocket and roast veg. 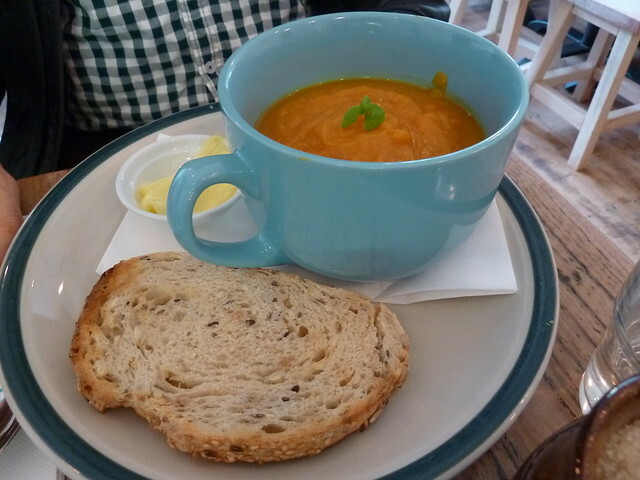 My friend pronounced his pumpkin and honey soup quite fine - not mindblowing but nice all the same. 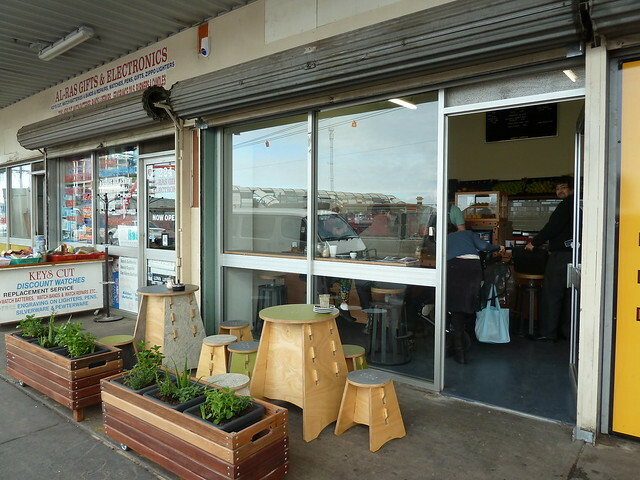 Go have a roam around Union Road when you're done - there's a great greengrocer a few doors down (The Happy Apple) and a proper butcher (Ascot Vale Meat Supply - great rump steaks). The Brotherhood op shop up on Maribyrnong Road is always good for a rummage. Last time I was there (a while ago now), they had loads of pseudo-baroque furniture. Turns out it had come from Tuppence Moran's house! 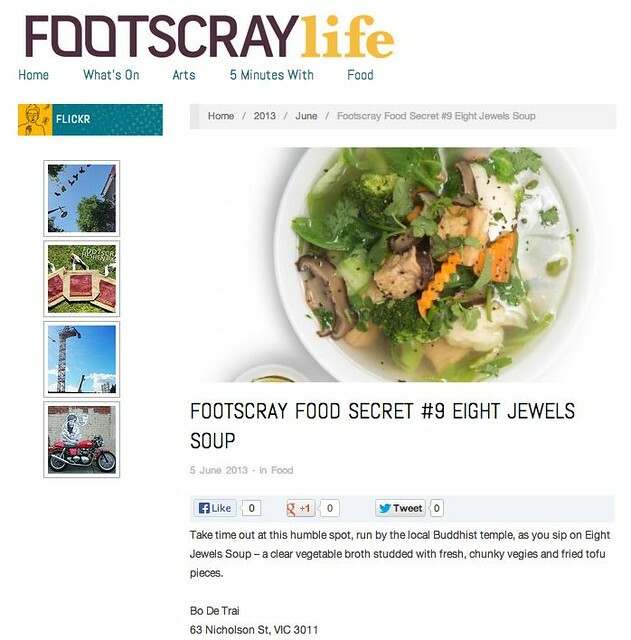 Footscray Food Secrets project - just launched! 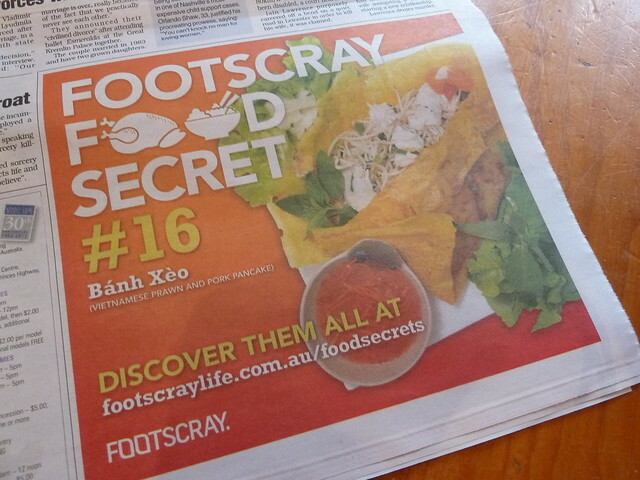 If you're a commuter, make sure you get a copy of MX and check out the new "Footscray Food Secrets" advertising campaign. 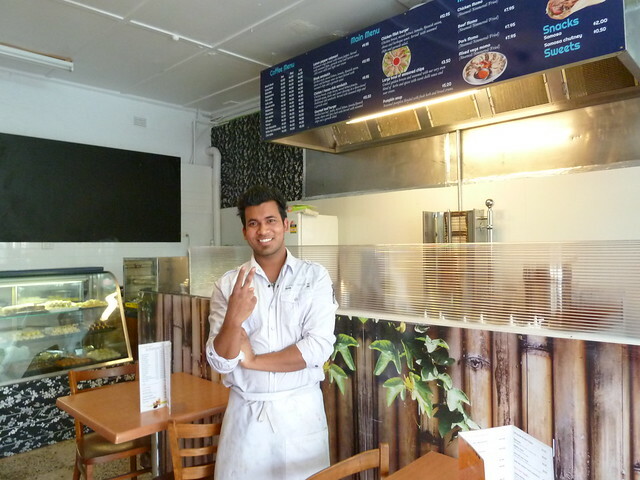 Follow the link to check out 26 of Footscray's best food secrets - chosen and written by me! Reckon we've missed one? Let me know in the comments! Looking for the latest release of Muay Thai Mayhem? Sorry, you'll now have to go elsewhere for your Thai video needs. 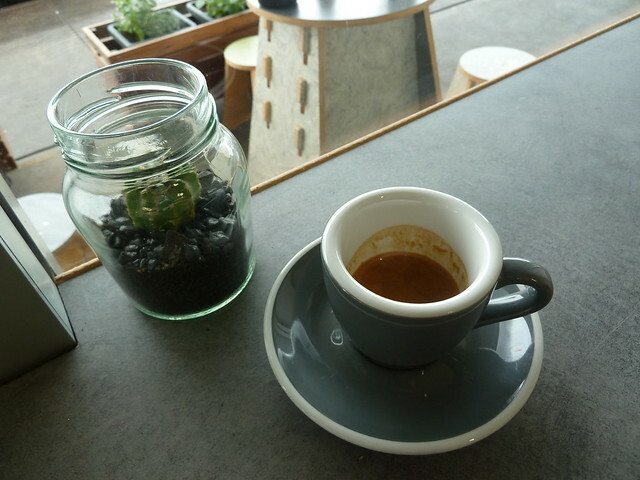 Siam Thai Video, squirrelled into the side of Footscray Market, has become Guerilla Espresso - aka your new best friend. Jag, formerly of West 48, has teamed up with mate Evan to open this sorely-needed spot right in the heart of the 'scray. ...with awesome results. 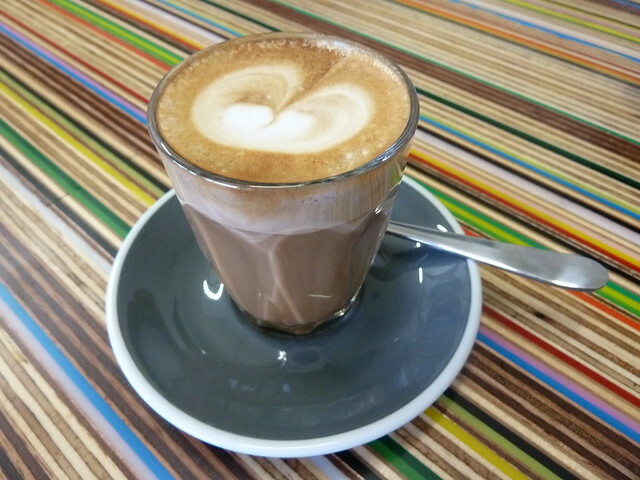 Guerilla are open from 6 am. Pro tip: The loading zone out the front doesn't come into effect until 8 am, so plenty of time for a daily grind on the way to your daily grind. 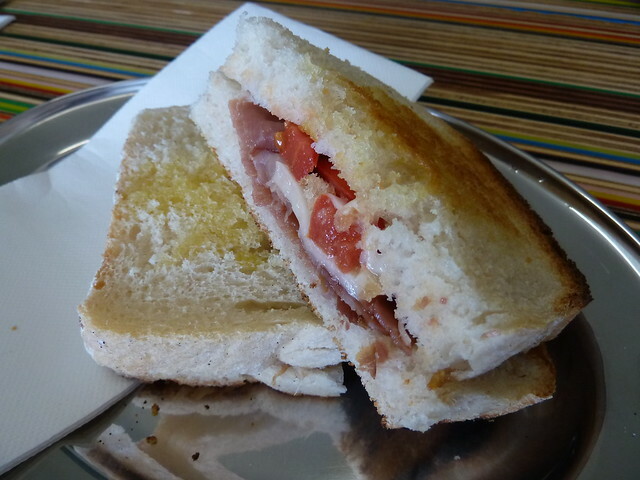 In terms of sustenance, there are simple, yummy toasted sarnies with your choice of cheese (think pecorino or gruyere) and meat (prosciutto, sopressa) - trust me and spring for the house-pickled onions. 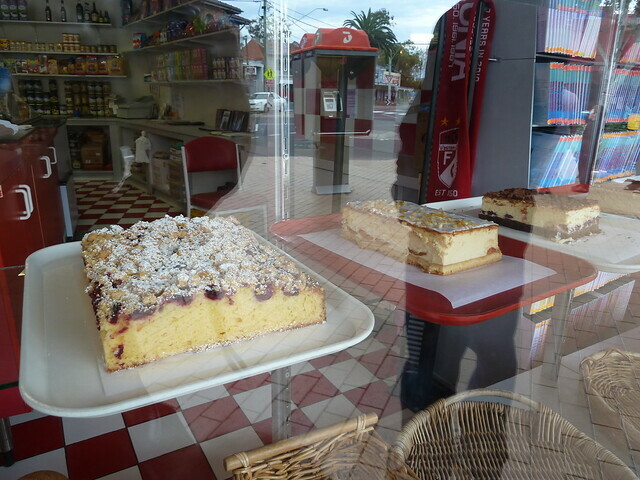 Or go a couple of Dr Marty's Crumpets (handmade crumpets with organic flour) or cakes by Nana Kath of The Premises. Need a vitamin boost? Try the homemade soup or a cold-pressed juice. Produce and deli goods come from the market neighbours right next door. I've been going to Footscray Market for years and this is JUST what the doctor ordered. And never fear - your Thai video habit can still be fulfilled at Nathan Thai Video around the corner. 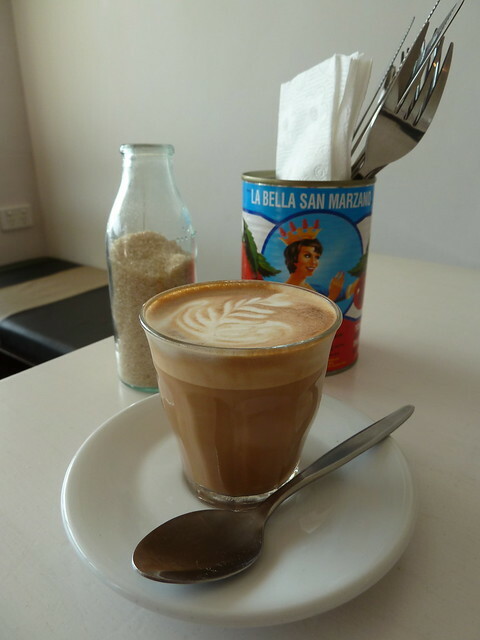 Just grab a coffee from Guerilla on the way! Sorry for the super long time between drinks, folks! I have been really busy, and there are only so many things a girl can eat. 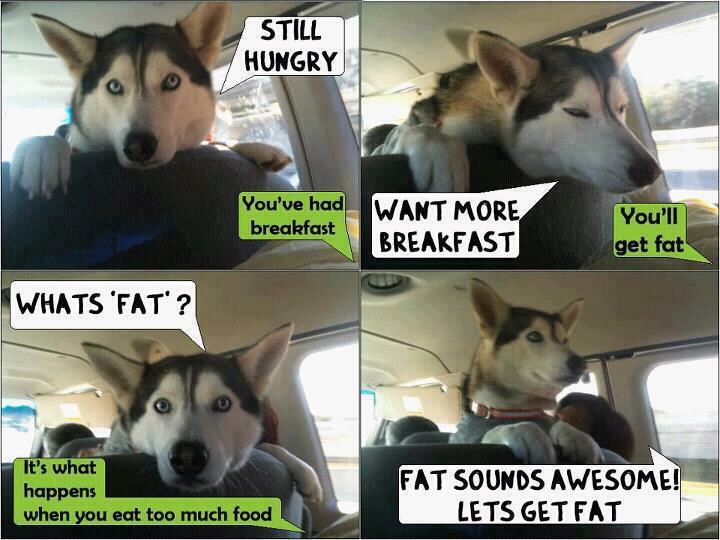 Although I did have a chuckle at this - it's pretty much my life! Anyway, I thought I'd make you a nice concentrated missal of all the goodies I've been chowing down on in the last couple of months. 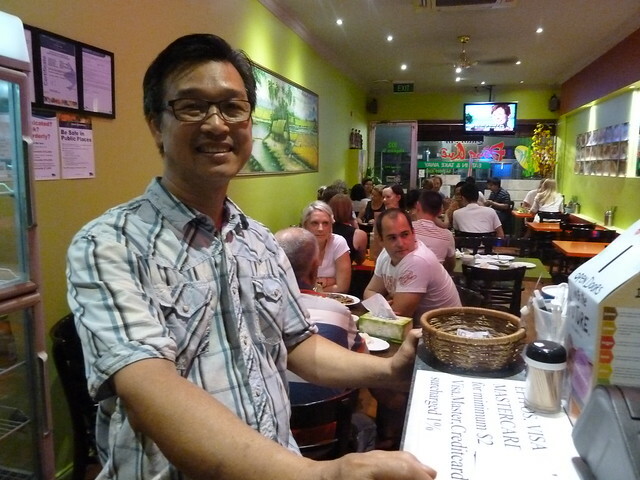 Firstly, a shoutout to Tien, proprietor of Dong Que, hands down one of my all-time Footscray faves. Dong Que do awesome coleslaws, from a prawn and pork with lotus root to this 'un, beef jerky with green papaya. 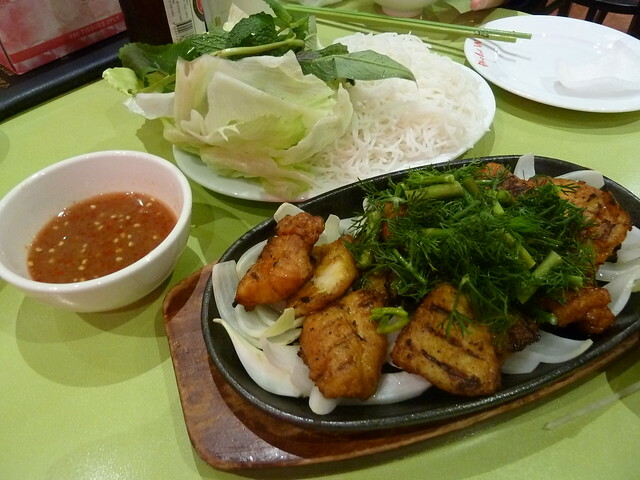 Their signature dish is bun ca thang long or turmeric-marinated fish served with lots of dill. 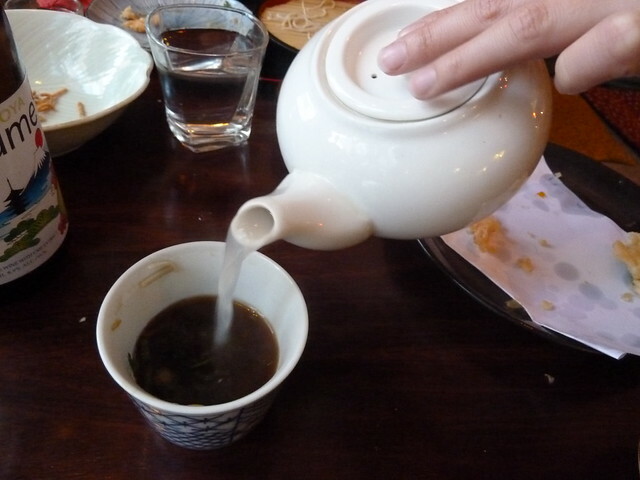 It's a northern Vietnamese specialty, related to bun cha Ha Noi (more on that later). It's so popular that when you step into Dong Que, the air is redolent with gorgeous floral dill almost all the time. To eat, you make a little DIY salad with noodles, herbs and fish. 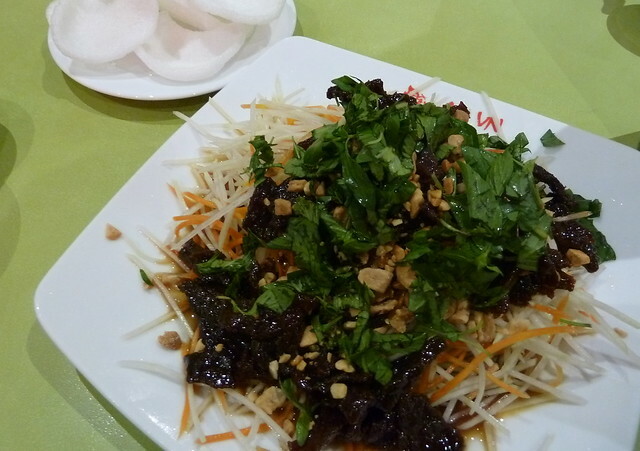 If the supplied stinky anchovy sauce is too much, don't be shy to ask for the standard nuoc cham mam! Dong Que were one of the stops on this year's Rickshaw Run. I volunteered over a few sessions, as did the indomitable Kenny and Bennie from Consider the Sauce, as well as a number of FFB readers (big shoutouts to Chris, Mark, Jenny, Carolyn and Eve!) 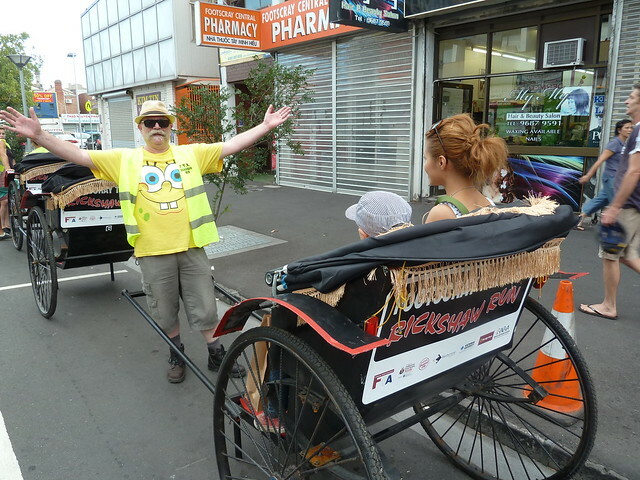 We even had an awesome couple who had moved into Footscray barely a week before and liked what they saw so much that they signed up to volunteer too. This is Eve who writes Conversation with Jenny who, despite her sylphic frame, managed to haul my ever-expanding person around one evening. Thanks Eve!! 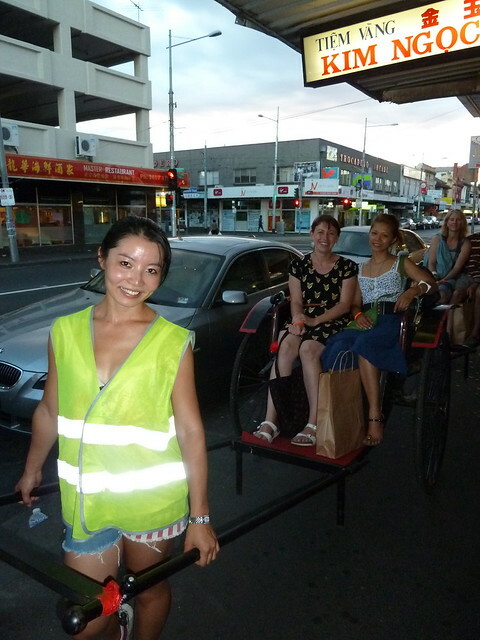 Footscray got some star power that night too with HaiHa Lee (next to me in the rickshaw), a long-time local resident and actor with many credits including Bed of Roses and Miss Fisher's Murder Mysteries. 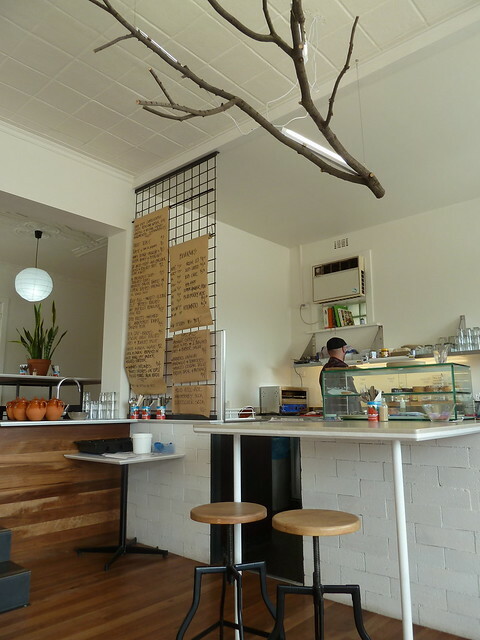 Her and partner Pier's go-to Footscray joint? Not usual suspects Hao Phong or Sapa Hills - it's Tra Vinh! Instant cred! In other news, one day whilst roaming about, I found this little gem on the "other" side of Sunshine (near Dragon Express). 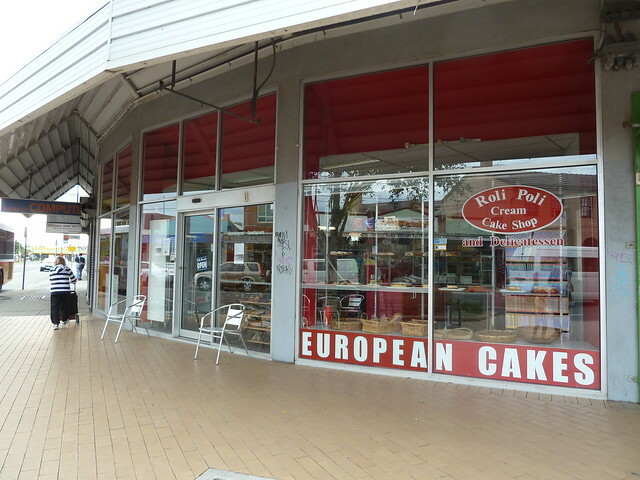 They sell gorgeous Polish cakes (I think by the slice) and plum jam donuts, plus take-home meals just like Babcia used to make. (I had a Polish friend at school and I remember her mother pinching the skin on my forehead and saying, "STILL ROOM FOR MORE PIEROGIS!" I think that's where my problems started.) 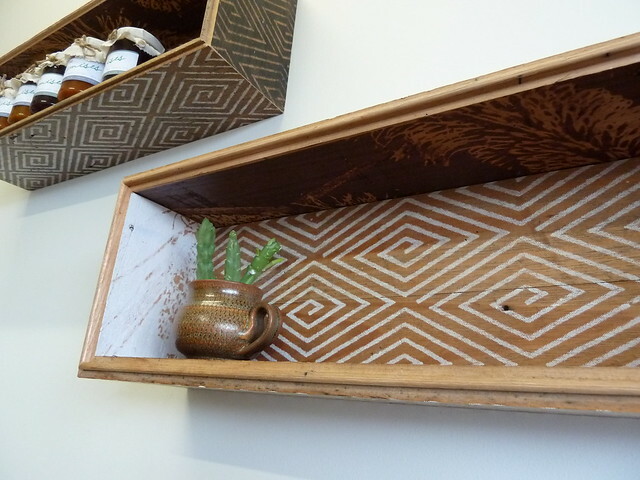 You can read more about Roli Poli over here at Pretty Wak by Amie Batalibasi, founder of Footscray's Colour Box Studio. 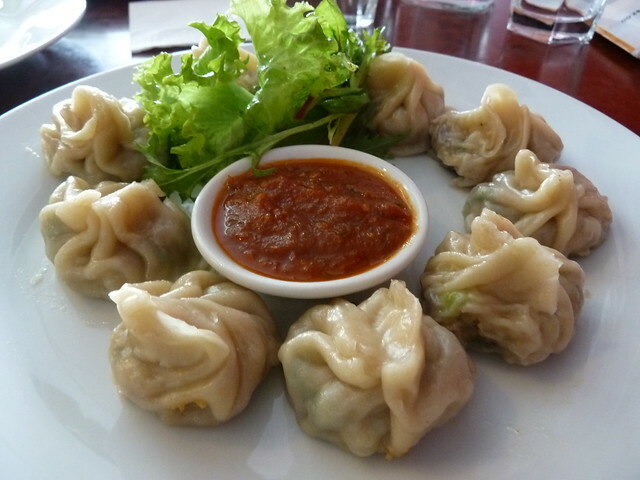 And while we're on the subject of dumplings, West Footscray's newest eatery opened just a few days ago! 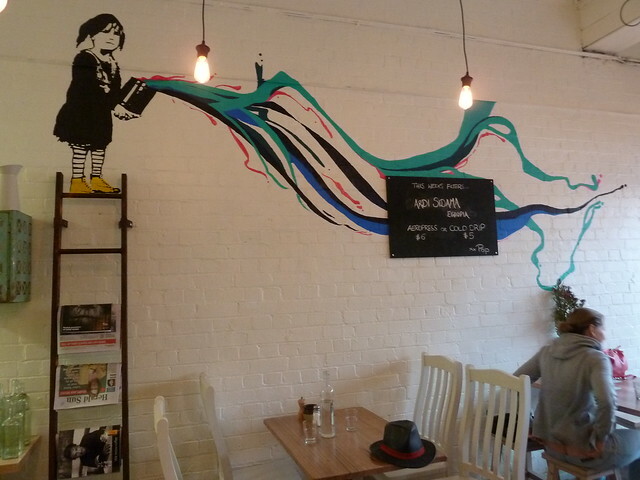 It's called Magic Momo Kafe and it's the baby of Ravi (above). Given the name, the four momo varieties are only a tiny part of the menu, which ranges from a big breakfast, to burgers or calamari and chips. Everything is well priced, especially kids' options - from memory, pancakes with ice cream are about $4. 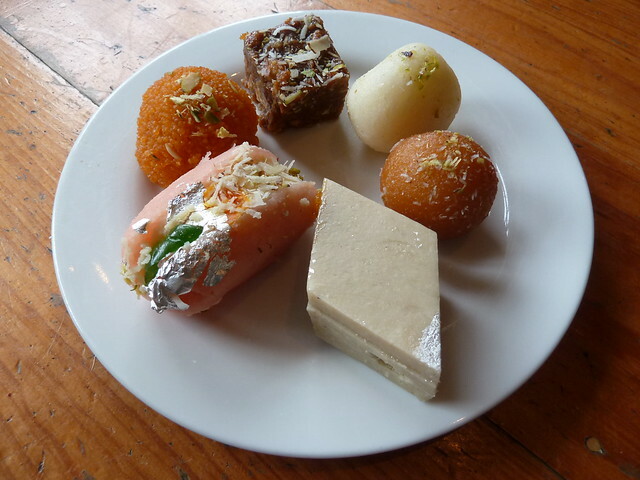 What Magic Momo Kafe also have is a dizzying display of Indian sweets including four varieties of one of my faves, cham cham, which is almost like an eclair with a lightly-cooked gulab jamun-like exterior and a fudgy filling. (It's the pink one above.) They're all $2 each. 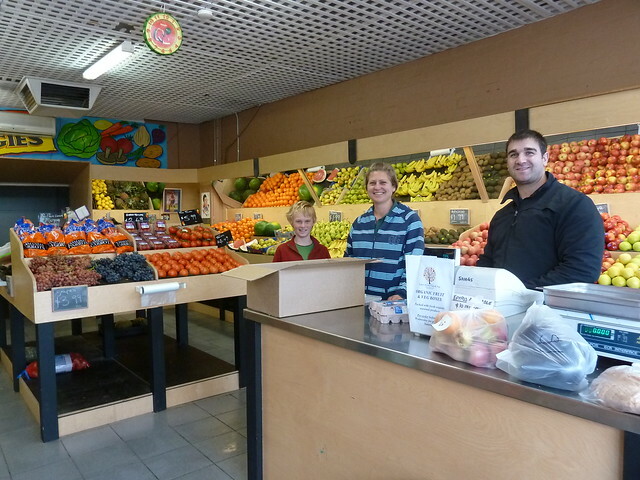 In other West Footscray news, Rino at Vari's Fruit & Veg has started offering seasonal organic fruit and veg boxes. There are two sizes, $35 and $60, and you need to order by Wednesday for Saturday pickup. He read me what was in both sizes and it's a very impressive amount of fresh organic produce. You can also get eggs, and while I was there, Josh (aka, "the boss") and mum from Seven Hills Organic Farm came to drop off that week's order. Boxes can also include Sourdough Kitchen bread (which Vari's actually sell fresh every day) and organic juice. Call 9689 1491 for more deets. 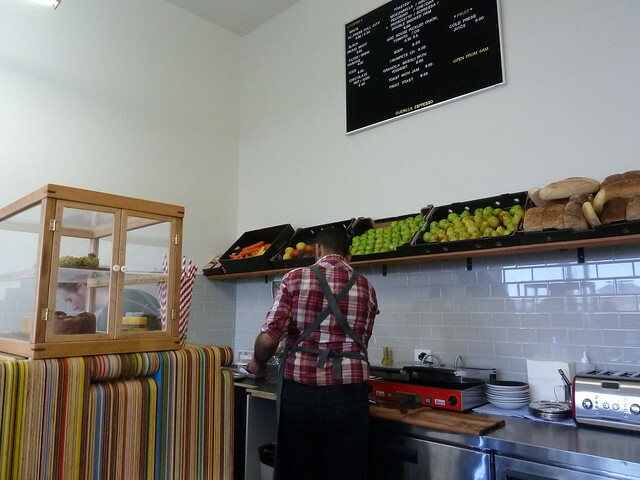 West Footscray was pretty devvo that Andres and Shannon of Besito decided to hang up the arepa press, for family reasons. 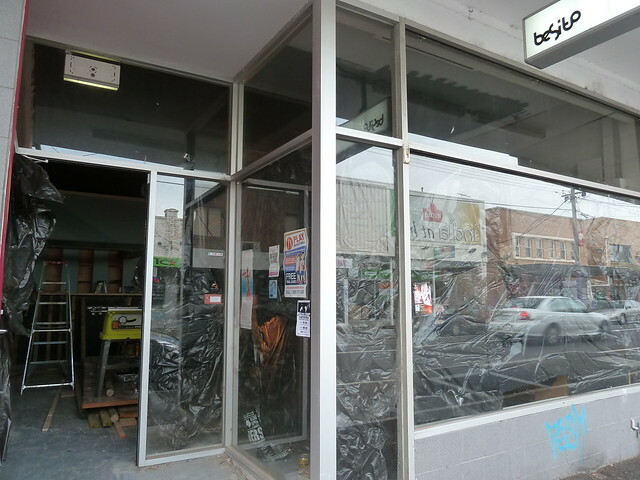 The old site of Besito is currently under construction and is going to be the third Melbourne branch of Chawla's Indian. According to their website, "Chawla's cream chicken was born not to die". Yum, I think? !